BRANT BJORK unveil first track off new solo record « Jacoozzi » on HPS Records; pre-orders available now! After the huge success of his latest and thirteenth solo record ‘Mankind Woman’, desert rock icon BRANT BJORK is set to release another solo album! 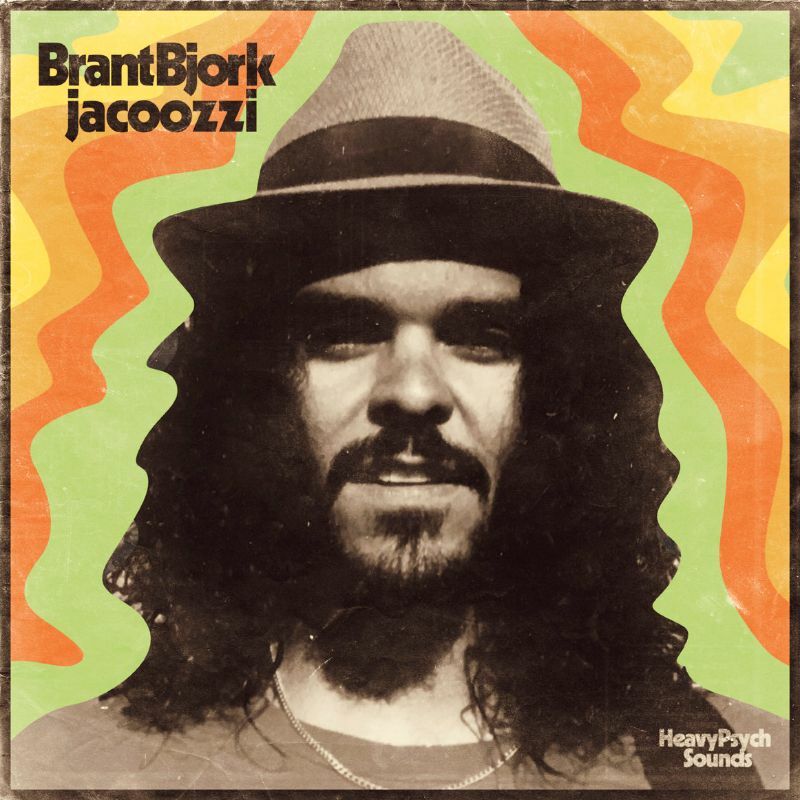 ‘Jacoozzi’ was captured on tape during a jam session back in 2010, but the tracks never made it on any of Brant Bjork’s albums to date. April 5th will finally see ‘Jacoozzi’ to be released with Heavy Psych Sounds Records! Joshua Tree, California, 2010: BRANT BJORK has just started to record another solo record. About four days into the sessions, the desert rocker decided to abandon the eight songs he was working on, and told his long time friend and engineer, Tony Mason, to start rolling tape and Brant proceeded to play drums in his natural improv style. After multiple drum track performances were recorded, Brant started layering guitars, bass and percussion in the same spirit. The former Fu Manchu and Kyuss musician essentially decided to « jam » by himself and for the rest of his scheduled sessions. When the recording session had come to an end, Brant put the eight unfinished tracks on the shelf as well as his « solo jam session » tracks. “I was much more content with the jam tracks, as it was a creative release that was needed at that time. I decided to call the collective tracks, Jacoozzi. At the time, it reminded me of the feeling of my first solo recording sessions for my first solo release, Jalamanta… Only more free.“ he says. At that time in 2010, Brant had no formal plans to release any of the music from those sessions, ‘Jacoozzi’ included. Almost a decade later, Heavy Psych Sounds Records is stoked to finally release this special trip of a Brant Bjork jam! Le combo space rock intrumental MONOMYTH dévoile le premier morceau tiré de son troisième album « Exo ». Classic rock units LÅNGFINGER and CAPTAIN CRIMSON embark on a full European tour next month. ABRAHMA: Roadburn appearance and European tour announced; new album details unveiled soon. Heavy psych shamans LITTLE JIMI premiere debut album « EP.1 » in full now ; coming November 16th on MRS Red Sound. Philadelphia proto-metallers HIGH REEPER share new video « Chrome Hammer » from debut LP on Heavy Psych Sounds!